In August Google announced that the Introduction and Description field is no longer editable in Google My Business. It is only displayed to users in Google+ and can still be edited in aboutme.google.com. These editable attributes are not currently available to businesses (“coming soon”) in their Google business page, because Google needs to build up enough data in able to provide them to businesses. I also suspect that “Editing of Attributes” will be more then likely a select option, rather then a user written option. Google began collecting this information back in May 2015 when Google started asking users for additional information about the business. 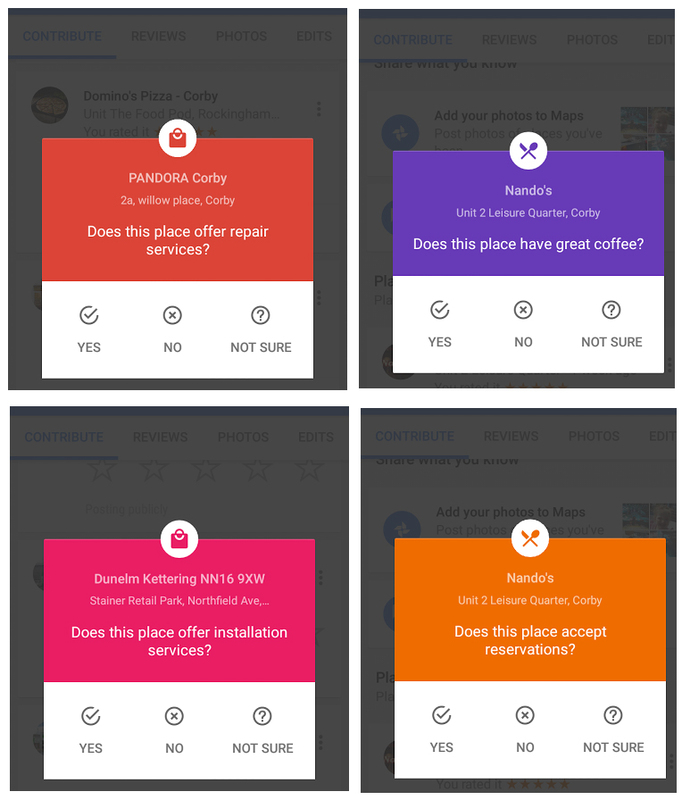 I imagine most people using Google Maps on mobile have become used to seeing these questions after leaving a review of a business by now. 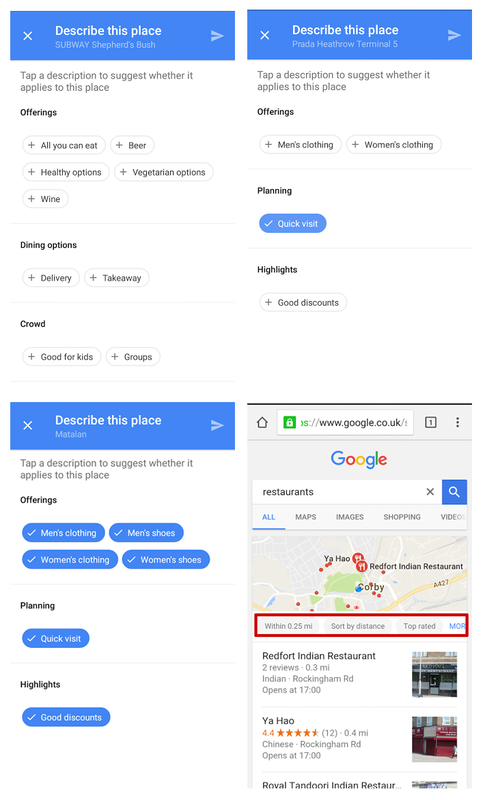 After the announcement in August about attributes “coming soon” users started being prompted with “Do You Know This Place?” and presented with simple on / off selections or attributes about the business. I suspect that these are how attributes will look when presented to the owners of Google business page, in a select option once Google has build up their data around types of businesses. Attributes will probably help define what businesses appear in local packs as well as within filter options.